Savvy service with a smile. Don’t let your computer issues get you down. 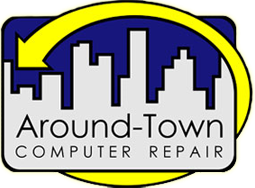 Call us or stop in and receive the personal attention for your computer repair the big box stores just can’t offer! You are covered, no matter your style. Laptops, desktops, Macs, PCs, and more. No matter your style, you’ll find quick and honest service with us. We value you as a customer, and strive to give you the best diagnosis and repair possible. Call 559-589-9100 or visit us at 213 N. Douty Street for great customer service.